It is about a man who seems of settling down in any one place, with any one person. Each story has a different title, ‘The Follower’, ‘The Lover’ and ‘The Guardian’ and it seems to me that Galgut examines the different selves you become around different people, either by the role you play in their life or the self you make yourself be to fit in with them. I am sure I’m not the only to experience this. I too have experienced rocks being thrown at/ through train windows. Some might say that I am boring because I no longer travel much and am content in my surroundings but they say that however far you travel you always take yourself with you. What are you trying to avoid? Is the bloke avoiding himself – he uses ‘I’ and ‘he’ interchangeably about himself? Does he know who he is? We see his alienation from himself and from others. Is he using travel as a form of searching in the wrong way? He fixates on three different people on his travels: two men and one woman but when anyone gets too close to him he walks away, except in the last person who self-harms and attempts suicide. Is her self-harming some sort of catharsis that he too seeks? But then he finally walks away and returns, after a long time, to her grave. That’s a safe place where the other person won’t make any demands on you. The novel begins starkly, with sparse punctuation bit it warms up and becomes more human. The third story is best and finds humour even in the worst part of hospitalisation. It is beautifully intense and wonderfully observant. A very few words can covey a lot, e.g. He has thick curly hair and round glasses and a serious expression which is impassive, or perhaps merely resigned. The younger man has from up close a beauty that is almost shocking, red lips and high cheek-bones and a long fringe of hair. His brown eyes won’t meet my gaze. And: Jerome, if I can’t make you live in words, if you are only the dim evocation of a face under a fringe of hair, and the others too, Alice and Christian and Roderigo, if you are names without a nature, it’s not because I don’t remember, no, the opposite is true, you are remembered in me as an endless stirring and turning. But it’s for this precisely that you must forgive me, because in every story of obsession there is only one character, only one plot. I am writing about myself alone, it’s all I know, and for this reason I have always failed in every love, which is to say at the very heart of my life. He sits in the empty room, crying. Of the frustrations of travel: Then they walk across a long bridge over a choked green riverbed to the immigration post on the other side. It’s only now that he starts to really consider what might happen. Although he’d said airily that he’d see if they would let him in, it didn’t seriously occur to him that they might not. But now, as the little cluster of sheds draws closer, with a boom across the road on the far side, a faint premonition prickles in his palms, maybe this won’t turn out as he hopes. And once they have entered the first wooden shed, and all the others have been stamped through by the dapper little man behind his counter, his passport is taken from him and in the pause that follows, the sudden stillness of the hand as it reaches for the ink, he knows what’s coming. Where is your visa. I didn’t know I needed one. You do. when they come to the first little town the roadside is bare and deserted. He gets down and looks around, as if they might be hiding nearby. Where are my friends, he asks, but the boy shakes his head and grins. The friends of this peculiar man are no concern of his. So he waits for the next bus to come. It’s as if he’s arrived at a place outside time, in which only he feels its lack. He paces up and down, he throws pebbles at a tree, he watches file of ants going into a hole in the ground, all in a bid to summon time again. When the interval is over perhaps an hour and a half has passed. By then a small crowd is swelling next to the road and everybody clambers on board the bus at once. He ends up without a seat and has to hang on to roof racks in the aisle. Outside there is a mountainous green countryside quilted with tea plantations. Banana trees clap their broad leaves in applause. It’s a full three hours or more before the road begins to descend from this high hilly country and the edges of Mbeya accrete around him. By now the sun is setting and in the dwindling light all he can see are low, sinister buildings, made mostly of mud, crouching close to the ground: He climbs down at the edge of a crowded street swirling with fumes. He asks a woman nearby, do you know where the station is. Somebody else overhears him and repeats it to somebody else, and he finds himself escorted by a stranger to a group of men loitering nearby. One of our seasoned travellers observed: I read it while I was on holiday- luckily I was with a friend and not travelling on my own or I might have had my own story of breakdown to tell. I think its one of the best things we’ve read, extremely unsettling . Having travelled on my own, I identified with the random meetings with people, and the strange mental states and anxieties that get triggered when you’re anchorless, away from home. 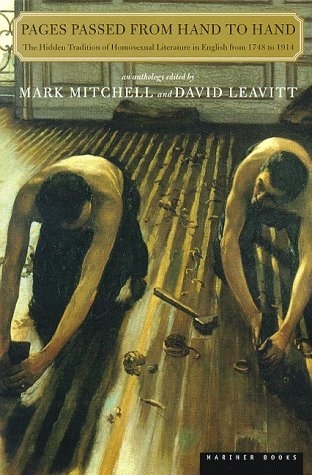 In the first part, I was reminded very much of my erstwhile lodger (from hell) by that German guy. Such an accurate portrayal of a certain type of person/dynamic. At the end, we wonder what effect suicide and its aftermath will have. Will he go on running away from his feelings or stay to confront them? 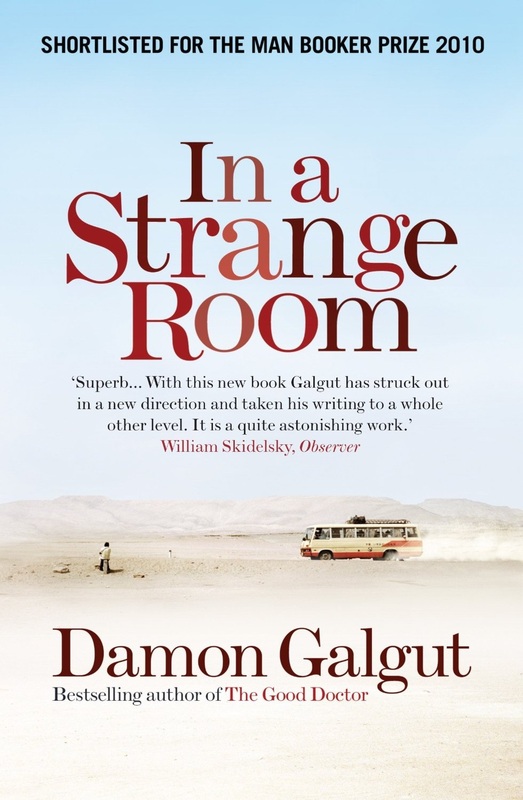 Galgut’s novels are invariably set not in the towns but in the eerie, wide open spaces of rural South Africa. This, he says, is because he’s more interested in the country’s fragmented identity than its day-to-day politics and believes the more mythical landscapes of the countryside allow him to explore that more effectively. This book moves quite slowly and the style is very pedestrian – I did this, then I went there, then I met…. I don’t normally believe conspiracy theories but as the evidence mounted, I was becoming fairly convinced. Shepard was no saint (but then nor were the saints!). He’d molested two eight-year-old boys (and had been molested himself), stolen a car and dealt and done heavy drugs. Whether it was a hate crime, a drug crime, or a combination of the two, it’s hard to shake the suspicion that self-hate and a misguided culture of masculinity, which taught McKinney to abhor in himself what Shepard had learned to embrace, was as complicit as anything else in the murder of Matthew Shepard. However, McKinney’s accomplice seems to have paid hardly any part in this murder. A similar case, drug-related rather than a hate crime, and committed by an adult, resulted in a mere four year sentence. These boys have double life sentences. That is, of course, a kind of hate crime — just not as straightforward as the one we’ve believed all these years. The author has been accused of shoddy sources but, the again, people spoke to him in confidence and didn’t want their names exposed. The right-wing media rejoiced at the arrival of this book, – convinced that it exposes an LGBT “grievance industry” founded on “lies” and cover-ups. The tragedy is that people who can’t afford good lawyers can’t get powerful defence – that legal aid is being cut in the UK will make things worse. Despite promises of funding from Clinton, it wasn’t forthcoming so plea bargaining meant harsh sentences in order to avoid the death penalty. On the night of October 6, 1998, in Laramie, Wyoming, a Matthew Shepard, a gay 21-year-old student at the University of Wyoming, was brutally attacked. His killers, Aaron McKinney and Russell Henderson, drove him from a bar to a secluded area, where they ambushed him. He was strapped to a fence post, beaten, and pistol-whipped until his brain stem was crushed. The attack constituted not just murder but torture, the killers making special effort to ensure that Shepard suffered, even removing his shoes on a freezing-cold evening. Shepard lay hanging, likely brain dead but unquestionably suffering, for hours. He lingered for five days in the hospital before he succumbed to his injuries. His killers were apprehended, confessed, were tried and convicted for the murder. They will and should spend the rest of their lives in prison. Shepard left behind a grieving family, a shocked community, and a disgusted nation. Laramie is not a uniquely hostile environment for a young gay man but a fairly progressive college town. In 1999, JoAnn Wypijewski rejected what she called the “quasi-religious characterizations of Matthew’s passion, death, and resurrection as patron saint of hate-crime legislation” in favour of what she called “wussitude” — a culture of “compulsory heterosexuality” that teaches young men how to pass as men, unfeeling, benumbed, primed to cloak any vulnerability in violence. She also who wondered if Price — the star witness — simply thought she was helping out her boyfriend when she told the press that he and Henderson “just wanted to beat [Shepard] up bad enough to teach him a lesson not to come on to straight people.” If you thought gay panic was a better defence than a drug-fueled rampage, wouldn’t you, perhaps, go with it? If Jimenez’s Matthew Shepard — involved in the drug trade, intimately acquainted with his killers, despairing — is the real Matthew Shepard, we face the same moral questions that we do when we consider Shepard the secular saint. Even if his death was not a black-and-white morality play which spoke perfectly to the assumptions of those who mourn him, and he not a media-ready victim but a complex and flawed human being, would he then lie outside of the boundaries of our compassion and our responsibility? On Tuesday, October 6, 1998, Tina Labrie (Matthew Shepard’s close friend and fellow college student) stayed at home all day with a cold. Something seemed to be going around. Her husband, Phil, had caught a cold on Saturday, Matthew had one on Monday, now it was her turn. But one person who did hear from Matthew that afternoon was [limousine driver] Doc O’Connor. “Matt called me from the Library [bar] at 3:15 PM,” Doc told me curtly. It was unusual for Doc to be so perfunctory, but on this particular subject he was sticking to just the facts. According to what Doc told a reporter for Vanity Fair, Matthew had been thinking of hiring a limo that night to go someplace with friends but he hadn’t said where he wanted to go. Doc explained to Matthew that he had a trustees’ meeting at the Eagles club that evening. Since he didn’t expect the meeting to get out late, he asked Matthew to call him back later. Several of Matthew’s friends would later say he always carried his cell phone with him, so his call to Doc from a landline at the Library was out of the ordinary. During my review of the police reports and court files I’d also noticed that there was virtually no mention of Matthew’s cell phone. If police had, indeed, checked his phone records — which would be more or less routine in a homicide investigation, especially a case in which the suspects were facing the possibility of the death penalty — they had not included that information in their reports. Apparently Matthew had changed phone numbers often, which a former member of the Denver circle (a group of close friends involved in selling crystal meth) said was a protective measure common among their friends. Nonetheless, an examination of Matthew’s cell phone records and a few landlines he had used might have yielded crucial evidence about the individuals he had been in touch with in the days leading up to the attack. Had this been an oversight on the part of investigators or was the information intentionally kept out of the public record? Patrons who were at the Library bar that evening would later tell police that Matthew had been there until 6 or 6:30 PM. Police reports also noted that Matthew had called his friend Walt Boulden (a 46-year-old college instructor) at about 6:30 PM to cancel plans they had tentatively made to celebrate Walt’s forty-sixth birthday. When Walt asked where he was, Matt said he was at a bar. But in fact Matthew was still planning to take one of Doc’s limos out that night. Where he intended to go, or with whom, has never been clarified. At about the same time Matthew was leaving the Library, Aaron McKinney and Russell Henderson had just gotten off work. According to police reports, media accounts, interviews, and other records, Aaron and Russell, still in their work clothes, drove to 809 Beaufort Street, the home of Ken Haselhuhn, their co-worker. The alleged purpose of the visit was that Aaron wanted to show Haselhuhn his .357 Magnum, which he was carrying in a black case, in the hope that Haselhuhn knew someone with whom he could trade the gun for drugs. Some reports suggested that Haselhuhn was a gun collector and that he might’ve been contemplating buying the gun himself. Haselhuhn would later say he had spoken to some neighbors downstairs, but when they heard a gun was involved they wanted nothing to do with the trade. 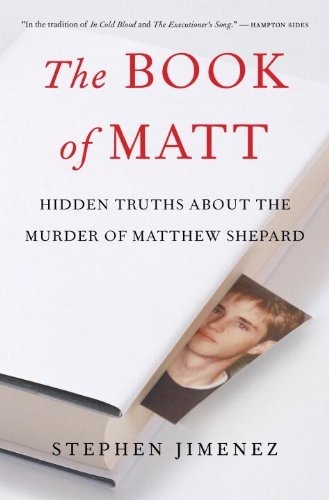 What happened to Matthew Shepard wasn’t a hate crime, not at all,” he confided in a low voice. Ken told the police that McKinney and Henderson had wanted to sell the gun for $300 or trade it for crack or meth…McKinney and Henderson came back to Ken’s house later that evening, again asking him if he could help them get rid of the gun…[Then] they again came back to his house later on. He doesn’t remember the time that was, but says it was late…[he] was in his bathrobe getting ready for bed. But there was more going on that night than a possible gun trade. By the time Aaron arrived at Haselhuhn’s home, he had already come up with a robbery plan, which he had not yet disclosed to Russell. Part of his plan, Aaron said, was to rob Haselhuhn; the business of trading or selling the gun was just a pretext. However, Russell and Haselhuhn did not learn what Aaron had in mind until later. Earlier that day, while the three men were working together at Bethesda Care Center, Aaron had convinced Haselhuhn to broker a deal for him: He wanted three hundred dollars’ worth of meth in exchange for the gun. All three men confirmed to me that Haselhuhn had promised to introduce Aaron and Russell to a friend that evening. An eight ball is one-eighth of an ounce. Coincidentally, the six-ounce quantity Aaron planned to rob was also the exact amount that was regularly delivered to Laramie by members of the Denver family. As payment, the two members who made the delivery each received two eight balls, or a quarter of an ounce. Since Aaron owed his suppliers money and had run out of excuses, the prospect of getting his hands on the whole six ounces was irresistible. If he robbed Haselhuhn’s friend, he could satisfy his meth craving and also pay off his debts. Boulden and Trout would later state that the first time they heard talk of a hate crime was at Poudre Valley Hospital when an unidentified police officer had mentioned in passing that the attack on Matthew “might have had something to do with him being gay.” The two men said the remark confirmed their worst fears and prompted them to act. Elizabeth Vargas: When did you first hear that Aaron and Russell may have attacked Matthew because he was gay? Tina Labrie: That day [Thursday, October 8] while we were down at Poudre Valley Hospital…when Walt and Alex showed up that evening, and that was pretty much their take on the situation. Elizabeth Vargas: They just assumed that he was beaten up because he was gay? Tina Labrie: Well, they were pretty sure about it. Elizabeth Vargas: But you don’t know why they were sure? Elizabeth Vargas: And told the media that this was a hate crime. Tina Labrie: …I just know that’s what they talked about a lot. Elizabeth Vargas: How soon after Walt and Alex arrived at the hospital…did they begin to feel that this beating happened only because Matthew was gay? Tina Labrie: That was pretty much the consensus every time I saw them. Elizabeth Vargas: But they never told you what proof they had for that. Elizabeth Vargas: How quickly did they begin to call the media and gay rights groups? Elizabeth Vargas: All asking questions about whether this was a hate crime? Tina Labrie: Yeah…it was pretty weird…that frenzy of media attention. This very quickly became an enormous issue about being gay and about homophobia…Like they wanted to make [Matt] a poster child or something for their cause or their anti-cause…they either wanted to make him a saint or they wanted to say he was burning in hell…I think when you go to [those] extremes, you lose the truth. On a Friday afternoon in late October 2004, a little more than six years after the murder, I drove two hundred miles to meet Kyle (a pseudonym), a former drug cohort of Aaron McKinney, alone at an isolated truck stop off I-80 in western Wyoming. I had interviewed Kyle twice before in prison and he had been surprisingly cooperative, so I felt more or less safe. Still, I took precautions since he had earlier advised me, “You don’t know who you’re dealing with,” referring to his friends higher up on the drug-dealing food chain. Kyle worked in the oil fields and had just gotten off a shift. He was still in company overalls, his face and hands stained with crude. Without warning, two other vehicles suddenly backed into spaces on both sides of us, wedging us in. When I saw what was happening I leapt from the car and ran into the middle of the parking lot, where there were more lights. “Stay in your car, don’t let them see you,” I snapped back. Trying not to panic but worried I would get run over or shot, I spun around several times to keep Kyle’s car in view as I hustled across the parking lot to a truck stop restaurant. Before I reached the entrance, Kyle’s vehicle and the other two tore out of the lot, tires screeching, heading for the ramp to the interstate. Seconds later my friend picked me up in front of the truck stop, his face a sickly shade of white. In a halting voice he told me how close he thought he had come to losing me there. I knew he was right. With his help I had narrowly managed to escape, but clearly I had been given a message. Driving away from the truck stop I took my friend’s advice and crouched down on the floor of his truck, out of sight. Evidently someone more powerful than Kyle had set me up. I hardly slept that night in Laramie. Waves of anxiety surged through me till late the next morning. Why had I put myself in danger like that? The next day, still agitated, I related my roadside experience to [Shepard prosecutor] Cal Rerucha. He shook his head in disgust. “The methamphetamine trade has made Wyoming revert to the lawless anarchy of the Old West,” he remarked pungently. “It’s deadly.” By then, Cal had been voted out of office in Albany County, after four elected terms. He was now prosecuting state and federal drug cases in the twin cities of Rock Springs and Green River — the epicenter of methamphetamine traffic for the Rocky Mountain West. After hearing my story Cal told me about a colleague, a Wyoming judge who had recently been surprised by an armed male intruder in the bathroom of his home one morning while shaving. The man was there to relay a message regarding a drug case in which he was awaiting sentencing by the judge. After a few curt words the man quietly slipped away. I saw no point in asking what the judge decided with a gun staring him in the face. But Cal’s reference to the Old West brought back a conversation I’d recently had about Matthew’s murder with a veteran cop in the Albany County Sheriff’s Office. Friendly, with a studied good-old-boy charm, the cop leaned over his desk toward me, his chiseled, windburned face inches from mine. “You sure you’re not quoting me on this?” he asked. “It’s for background, I won’t be using your name,” I answered, trying to sound reassuring. The cop stared at me as he sank back from his desk, shrugging doubtfully. Almost as an afterthought he flashed me another knowing grin, but again his eyes told me to let sleeping dogs lie. I recalled that a friend of Matthew from the Denver circle had said Aaron and Matthew reported to different “co-captains,” and that both young men were at risk because of what they knew about the meth trade in Wyoming — and beyond. But my own investigation suggests there were more than two co-captains operating in Laramie at the time Matthew was killed, and that these rival operators weren’t always competitors and adversaries; they cooperated when it was in their interest to do so. According to former dealing cohorts of Aaron, his Laramie-based suppliers and the “top dogs” in Matthew’s Denver circle were well acquainted and, in some instances, were friends. The stories are quite bland to start with. Not surprising since they would otherwise be describing criminal acts and be liable to prosecution. Then, in 1881 comes Teleny, written anonymously but often attributed to Oscar Wilde. This is graphic in the extreme. The editors should not have allowed a very boring book to be included in full, coming in at 123 pages and out of all proportion to everything else in the book. The priest and the acolyte, written by a priest, would get even more censure today than it did back in 1894. Of the perceived danger of these writings: That young men are here and there cursed with these unnatural cravings, no one acquainted with our public school life can deny. It is for such to wrestle with the devil within them; and many a long and agonized struggle is fought, unseen and unknown, within the heart of a young man. A publication of this kind, falling into his hands before the victory is complete, would, unless the poor fellow were of an ex­ceptionally strong nature, utterly ruin him for all eternity.